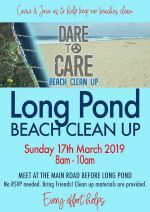 Dare To Care - Beach Clean Ups, in association with Bike Caribbean, The TerraMar Project, Sustainable Caribbean & Oceanic Global, invites you to join them for a Long Pond Beach Cleanup taking place on Sun Mar 17th. NO RSVP needed! Please spread the word and bring friends. 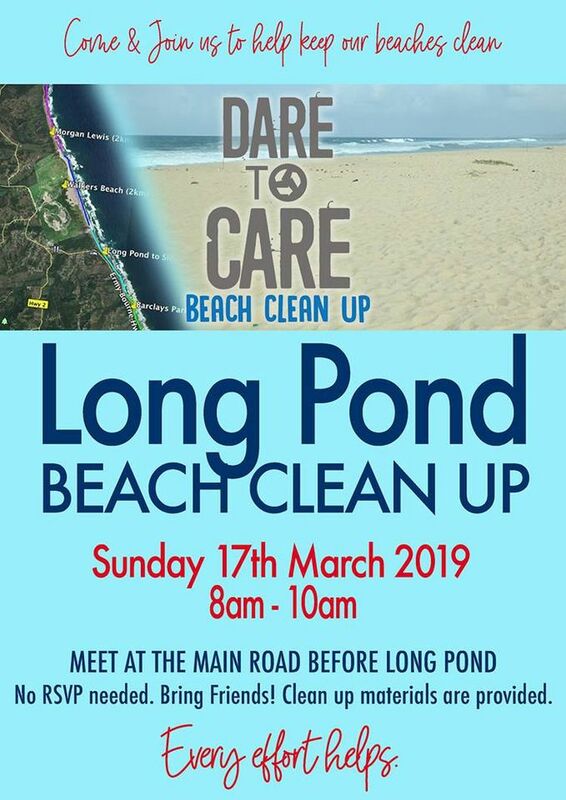 Garbage Bags, gloves and sanitation provided.